I have trouble keeping these in stock since QE2 is so popular. Everyone digs these wheel lapel pins, especially the ones that sport the original QE2 logo. 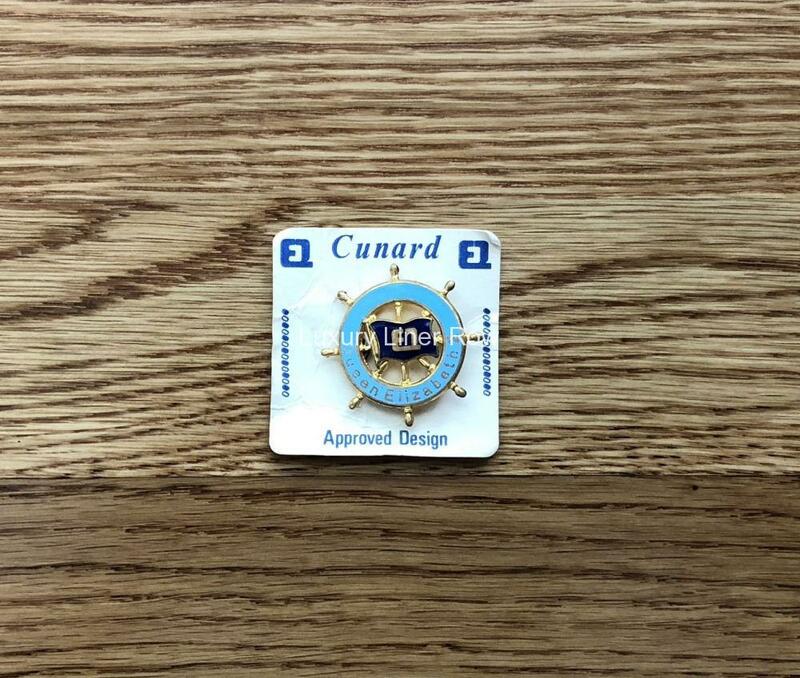 I get asked about these pins when I wear them on QM2 more than any other type of liner pin. 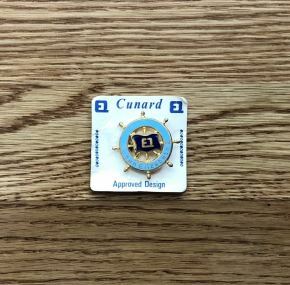 I have from time to time taken one off my lapel and sold it on the spot to folks who admire Queen Elizabeth 2 so much. This one is in mint condition and sports its original card.